Yeah, but: Avoid the culs-de-sac…s. 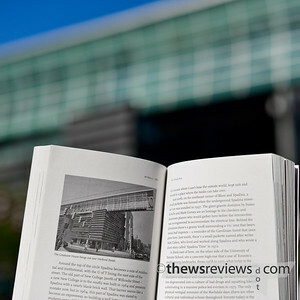 The Long Version: Stroll is a book that I've been planning to review for quite some time. Published by my favourite printing house, Coach House Books, and written by Shawn Micallef, of Spacing fame, it's a fascinating and involved look at Toronto's neighbourhoods. 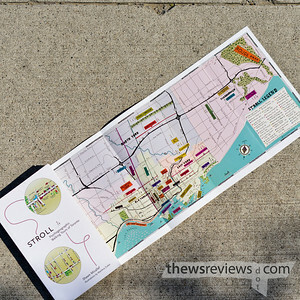 Simultaneously detailed and expansive, this 279 page book finds the details that can only be seen at walking pace, and does it without being overly pedestrian. I'm a lifelong resident of Toronto, and one with an above-average interest in local history – I once regretfully turned down a job as a tour guide. So it's with a minor sting of embarrassment that this wonderful book, with its involved and deep enjoyment of the city, was written by an immigrant. Yes, Shawn Micallef is from Windsor. Ontario. That still makes me cringe a bit. While on the subject of cringing, I could do without the revivals of the words "psychogeographic" and "flâneur". Legitimate terms, apparently, but I'm happy to just walk. Reading this book has taught me things that I didn't know about the street that I've lived on for a half-decade. Shawn Micallef wields an impressive level of local knowledge, and manages to do it across the entire city. His description of Main and Danforth, an intersection that I passed though regularly for years, insightfully picks out the same problems that I had noticed, and then adds context to them with local history and other subtle observations. It goes without saying that this also gives him excellent credibility when describing the places that I'm yet to visit. Other times the author's fresh eye leads him to see the streets in ways that I don't. His discussion of Danforth Avenue – The Danforth – between Broadview and Pape is of an area that has gentrified and yuppified (do people still say "yuppie"?) far beyond my experience. But I first spent time on this strip twenty-five years ago, so I tend to see what I remember and regard the new as temporary. I'm sure my next trip there will be a different experience. Streets, communities, and cities do change. In some cases this can create an inadvertent history lesson; the life of Jarvis Street in particular has fundamentally changed since Stroll's publication, and it's likely to change back again before a revision could be published. So while the content isn't quite 'evergreen', some of it could make for a hardy perennial. Fortunately Stroll doesn't delve too much into the specific details that are most likely to change rapidly, and the larger-scale stuff is going to be worth knowing about even if the specific form shifts over time. So even two years after its publication, I still find the book both fascinating and relevant. 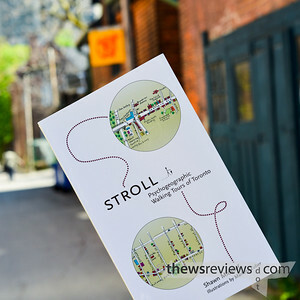 Stroll is an obvious choice for people like me, being from and/or living in Toronto, and with an interest in its built form and communities. 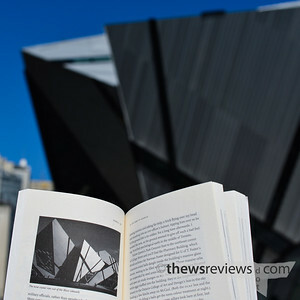 Indeed, the local civic-political interest seems unusually strong these days, thanks to the good governance and tireless city-building of Mayor Nenshi the implosion and de facto abdication of Mayor Ford, so the market for the book could be growing. What I'm not sure about is if anyone outside of Toronto would find Stroll rewarding. Its writing is entertaining and engaging; I like reading about the bits of the city that I haven't been to, so perhaps others elsewhere could also find it interesting even without the geographic connection. The good news is that Coach House has some full chapters available for free online, making it a no-risk inquiry. Well worth checking out – especially the one about the street I live on. Truly lovely. I read the link about Spadina. My only complaint: not enough photographs/illustrations. A book such as this cries out for many illustrations to complement the writing.